St. Andrew's Church in Kyiv was targeted in a foiled arson attack in the early hours of Thursday, Nov 15. "This morning, at about 07:20, two unidentified persons tried to set fire to St. Andrew's Church, namely they threw bottles with an inflammatory mixture. It did not work out – [the mixture] did not set off. After their fiasco, the young men fled toward Peyzazhna Alley," the Kyiv Operative online community wrote on Facebook. 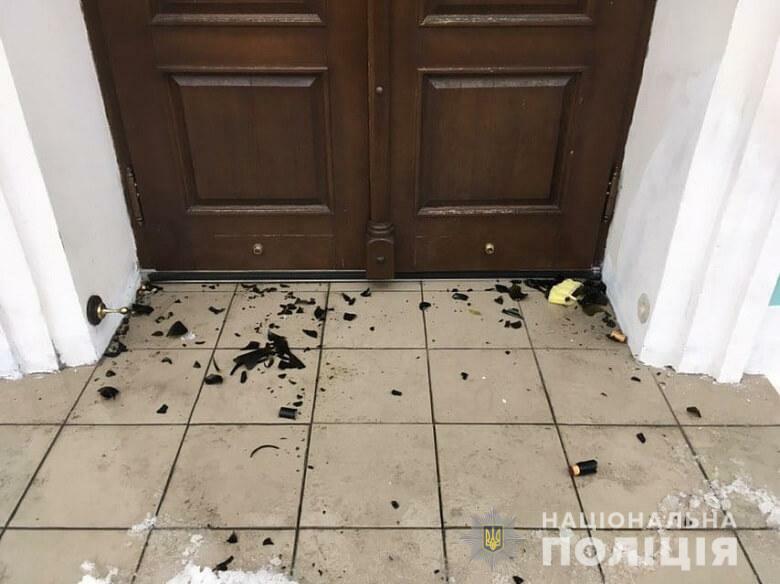 Press-secretary for the Ukrainian Orthodox Church of the Kyiv Patriarchate, Yevstratiy Zorya, confirmed the incident, adding that no damage was inflicted to church property. However, he added that a priest "was injured as a result of the perpetrators' actions" as the latter assaulted and pepper-sprayed him. “We're seeing that Moscow’s henchmen are trying through such 'transparent hints' to 'scare off' representatives of the Ecumenical Patriarch, to whom St. Andrew’s church is being transferred to set up a representation headquarters,” Zorya said. The search for culprits is under way, the National Police say. As UNIAN reported earlier, Ukraine's parliament, the Verkhovna Rada, on October 18 passed presidential bill No. 9208 on transferring Kyiv-based St. Andrew's Church to the Ecumenical Patriarchate of Constantinople for permanent use. On November 3, Ecumenical Patriarch Bartholomew I thanked Poroshenko for the transfer of the church's building to the Ecumenical Patriarchate. The Ukrainian president on November 7 signed the bill into law to enact the transfer of St. Andrew's Church in Kyiv to the Ecumenical Patriarchate of Constantinople for permanent use.